Skilled Craftsmen – Brick and stone siding provide a majestic finish to any structure, and the skilled craftsmen at All City Roofing have the tools and experience to capture that look for your home. 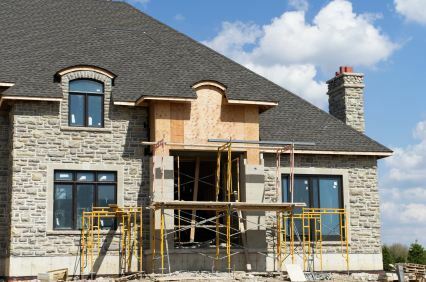 Whether you’re shopping for clay brick siding, natural stone veneer or a combination of brick and stone siding, our installers have the expertise, equipment and energy to get the job done. Quality Materials – Our customers demand top quality products installed with expert precision for maximum durability. All City Roofing has partnered with industry-leading manufacturers since 1999, delivering an exceptional selection of brick, natural stone and stone veneers. We help customers choose exterior siding for period-style homes, contemporary dwellings and commercial properties, always providing quality products with solid warranties installed by skilled professionals. On Time Service – New construction, home additions and major exterior home improvement projects operate on a tight schedule. Keep your brick and stone siding project on time with the help of All City Roofing, where clear communication and prompt service remain top priority. Lead time for custom sizes and rare brick or stone lines are managed with professional attention and our fully licensed staff keep the installation moving forward. Trust All City Roofing for on time service, every time. Enhance the look of your home or commercial building with brick and stone siding by All City Roofing. Our experienced skilled craftsmen and top quality materials deliver maximum return on your home improvement investment, while All City Roofing’s on time service keeps the project on schedule. Call (818) 296-9556 now for a free estimate and more details on this prestigious siding option.